Who were the great lyricists before Dylan? Well, from the fifties into the sixties you would probably say the men that wrote the words for the musicals, writers like Lorenz Hart. Hart wrote the lyrics for The Lady Is A Tramp and My Funny Valentine and was Richard Rodgers partner till alcoholism (Hart died tragically of pneumonia at the age of 48 in 1943) had Rodgers end their relationship and begin working with Oscar Hammerstein ll, the lyricist for The Sound Of Music, Oklahoma and South Pacific, Carousel and The King And I (notable lyrics he wrote would be ‘Ol Man River, Some Enchanted Evening, My Favourite Things, the last song he wrote before dying of stomach cancer at the age of 65 in 1960 was Edelweiss). Then there’s those that wrote the lyrics for the crooners, like Sammy Cahn, famous for Three Coins In A Fountain, Call Me Irresponsible, All The Way, Pocketful Of Miracles and many more, co-writing many classics with composer Jimmy Van Heusen. Cahn died at the age of 79 in 1993, Van Heusen at 77 in 1990. Jerry Leiber wrote the lyrics in the Leiber/Stoller partnership, writing Jailhouse Rock and Hound Dog for Elvis Presley. Leiber died age 78 in 2011. Hal David (died aged 91 in 2012) began working with Burt Bacharach in the fifties and we all know the Sixties classics, Walk On By, Do You Know The Way To San Jose, The Look Of Love, Raindrops Keep Falling On My Head, Close To You, This Guy’s In Love With You, Say A Little Prayer, (There’s Always) Something There To Remind Me – the list is long, although however brilliant these lyricists were, there was nobody like Dylan, the pure poetry, the literary knowledge, it wasn’t contemporary observation, it wasn’t Pop or Light Entertainment, it was poetic wisdom. Before them all, there was of course Cole Porter, born in 1891. Like Dylan, he too wrote the words AND the music. Between the thirties and the fifties he wrote the music and the lyrics for timeless classics like I Get A Kick Out Of You, Anything Goes, Begin The Beguine, Don’t Fence Me In, I’ve Got You Under My Skin, Night And Day, Who Wants To Be A Millionaire, I Love Paris. Porter died of kidney failure in 1964 aged 73. Johnny Mercer, born in 1909 as another early legendary lyricist writing Jeepers Creepers, You Must Have Been A Beautiful Baby and Day In Day Out in the thirties. In the forties he wrote Fools Rush In, That Old Black Magic, Autumn Leaves and I Remember You to Judy Garland with whom he had a passionate affair. In the fifties he wrote Days Of Wine Roses, Satin Doll and Moon River. He died of a brain haemorrhage in 1976. There has been no mention of women lyricists, that doesn’t mean there weren’t any in this period. No one remembers Nancy Hamilton, born in 1909 and writer of the lyrics to How High The Moon, she died in 1985. Peggy Lee wasn’t just a singer, she was an active songwriter, she wrote the lyrics for The Siamese Cat Song and topically He’s a Tramp from, you guessed it, The Lady And The Tramp. Lee died in 2002 aged 81. Other women lyricists pre Dylan and Joni Mitchell are difficult to find, you tell me who they are. 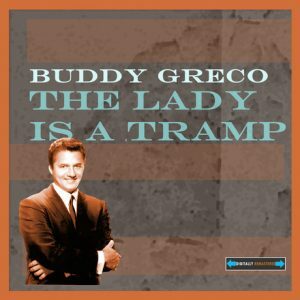 With Buddy Greco dying in recent days, I thought it would be interesting to look at one of the timeless standards, The Lady Is A Tramp. The song in an early form was originally written for the musical Babes In Arms (1937) and sung by Mitzi Green (This was also the birth place, courtesy of Green of Lorenz Hart’s classic lyric for My Funny Valentine). Finding Mitzi Green on Spotify, You Tube or anywhere on the net isn’t easy. There are some early child star performances, but for someone so famous in her day it’s hard to imagine that time has all but erased her memory. She died of cancer in 1969 aged 48. The Lady Is A Tramp was one of the most famous songs in Frank Sinatra’s repertoire, but it was Buddy Greco that had the biggest hit with it in 1960 selling over a million copies, oddly not making the US charts although the song reached No. 26 in the UK. Other versions of note are Tommy Dorsey and The Clambake Seven featuring Edythe Wright from 1937, Sophie Tucker in the same year, Lena Horne from the 1948 story of Rodgers’ and Hart’s songwriting partnership, Words And Music. Frank Sinatra sang it to Rita Heyworth in the film Pal Joey in 1958. Ella Fitzgerald and Pat Suzuki recorded it in the fifties. Then there’s the startling Shirley Bassey live version from the mid sixties, the mad arrangement from the 1968 French TV version by Diana Ross and the Supremes. But as we mourn the death of Buddy Greco and if this is all too much, do make sure you watch the 2nd video of his million selling version. Last but not least – Tony Bennett and Lady Gaga modernize it for a generation that has no idea. Different length versions of The Lady Is A Tramp have been recorded, it seems there’s a lot of verses that Frank Sinatra for example chose not to sing. Below are the lyrics from the original musical and then the Buddy Greco version, the longest version I could find. In the meantime RIP Buddy Greco, absolutely unknown to anyone born outside the seventies despite his huge success. Most of the songs here, including The Lady Is A Tramp, are also only known by people over a certain age. Bob Dylan appeared in the world as a lyrical force sometime after these classic songs were written, how long will it be before he too is lost in the mists of history? I go to ball games-the bleachers are fine. I follow Winchell and read ev’ry line. I like a prizefight that isn’t a fake. I’m all alone when I lower my lamp. Don’t know the reason for cocktails at five. I don’t like flying-I’m glad I’m alive. I’ll miss the crowning, Queen Mary won’t mind. That’ s why the lady is a tramp. I love La Guardia and think he’s a champ. I’m not so hot, but my shape is my own. That’s why the lady is a tramp! The food at Sardi’s is perfect, no doubt. I wouldn’t know what the Ritz is about. That’s why the lady is a tramp. Now! That’s why, the lady is a tramp. Now!